Migratory Fish in Your Backyard – Be a citizen scientist! Home|Get Involved|Migratory Fish in Your Backyard – Be a citizen scientist! Become a citizen scientist! Help us collect data needed to learn more about river herring populations in tributaries of the Connecticut River. Monitors throughout the watershed are monitoring a selected run between April 1st and June 30th looking for the presence of river herring in the water and estimating relative abundance then reporting the data. Check the list of streams below to see if you live or work near a priority stream. It’s a good reason to take a walk by the water once or twice a week during a beautiful time of the year! Contact Alicea Charamut to learn more or volunteer (see below for contact information). There has been significant progress in reconnecting habitat for river herring in the Connecticut basin over the last decade, with important runs opened by dam removals and the installation of fish passage. Despite this initial progress, populations remain in decline. 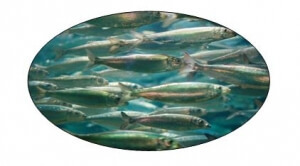 We have too little information about the status of river herring following the loss of a robust monitoring program due to budget cuts and staff reductions in the Inland Fisheries Division of the Connecticut Department of Energy and Environmental Protection. The goals of this project are two-fold. First, to educate the general public about river herring and its status in the Connecticut River. Second, to recruit and train volunteers to become citizen scientists to help CRC, CT DEEP and the US Fish and Wildlife Service get better data that will help with restoration efforts. What geographic area does the program cover? The following is a list of priority streams. However, it is by no means a complete list of potential streams for monitoring. Please contact us if your local tributary is not on the list and you are interested in participating.